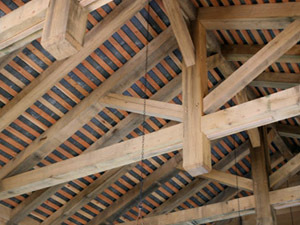 SCPB crafts some of the best trusses in the business. Using Douglas Fir, Oak, White Pine, Southern Yellow Pine, Cedar, Redwood or recycled timbers we offer King, Queen, Scissor, Hammer and custom trusses. 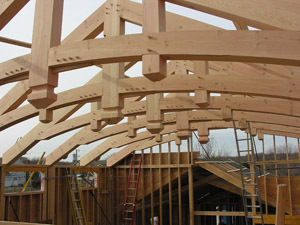 We can create, fabricate, and install any truss/roof system you can imagine. Please send, fax, or email your building plans (even if they do not have truss drawings) and we will provide you with a proposal, including an isometric view of the truss/roof system for your review.